Archaeology, Politics and Islamicate Cultural Heritage in Europe responds to the wishes of specialists in the history and archaeology of Islamicate societies in Europe to explore the integration of these societies into historical narratives. In order to deal with the multiple implications and wide ramifications of the subject matter, the book offers a collection of papers that cover a broad range of topics, including historiography, gender and family studies, material culture, historical and contemporary identities, historical heritage management, and archaeological theory, while paying attention to the peculiarities of the record in European regions in which Islamicate societies have played a major historical role (and others in which this role may not be quite so obvious, such as Scandinavia). These wide-ranging subjects find their commonality in the book’s aim of challenging the dominant simplifying narratives and their stress on interruption and exception. 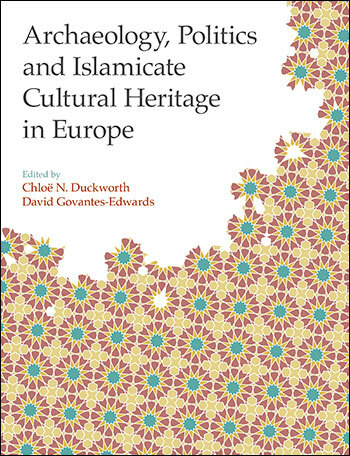 The impact of historical narratives in national and social identities is reflected in a wide range of issues, including school curricula, heritage management, the organisation of academic departments, the presentation of Islamicate history and archaeology in the media and the politics of identity of majority and minority groups. The volume does not avoid these questions, but tackles them head-on, challenging the unwillingness of some academics to engage in potentially disruptive political issues.